Enhance your car’s looks, both inside and out with high-performance XPEL Prime HP Window Film. Get 99% UV protection and excellent sun rejection. Keep your upholstery, dash, and other interior finishes from cracking, fading or looking anything less than factory-fresh. Why do you need to get Window Tinting done? Window tint is designed to protect the driver and passengers from excessive heat of the sun and from Ultraviolet (UV) which is an electromagnetic radiation. It darkens the windows and provides privacy for everyone who is inside. You get more pleasure from driving a car in a hot and sunny day when windows are tinted. XPEL PRIME HP offers higher heat rejection compared to traditional dyed films with a slightly more reflective finish. XPEL PRIME HP provides SPF 1,000 protection that effectively blocks over 99% of harmful UV rays that can lead to numerous skin cancers, premature aging and skin cell damage. XPEL Prime HP Window Film Is A Step Above The Rest. XPEL PRIME HP window film not only looks cool, but it also feels cool. XPEL premium window films were designed with first-class heat rejection technology to keep you comfortable and protected. Who needs window tinting done? Are you concerned about the danger of the heat of the sun and Ultraviolet? Are you looking for an additional comfort and privacy to your vehicle? 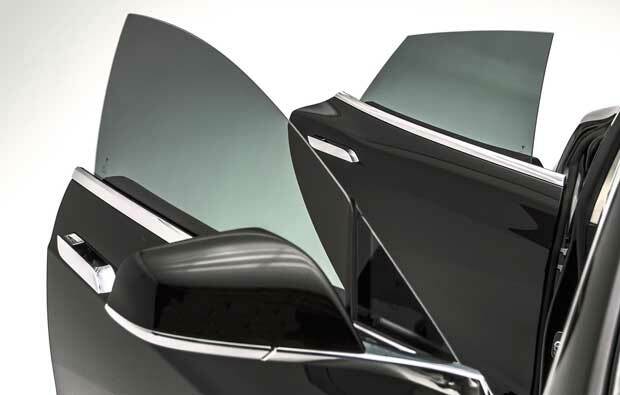 If you answer yes to these questions, then window tinting is what you need to do next. First Detailing Studio is the premium auto detailing shop that provides professional installation of Window Tint (Film) to its customers in Edmonton. We have everything to get the job properly done. 100% customer satisfaction is guaranteed! We are certified installers of XPEL Window Film in Edmonton, Alberta and provide installation of window tints on regular sedans, trucks, vans, sport and retro cars. Please contact for details and we will be happy to assist you with your project! Why Prime HP XPEL Window Film?